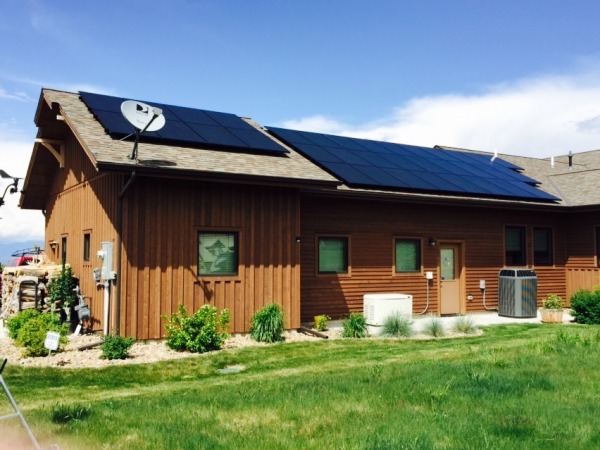 The Swanson family recently built a new home in the Gallatin Valley, and originally consulted with their architect and builder to ensure that their home design included good south facing roof aspects to host a solar array. Three years after the initial construction, they have now eliminated their utility energy bill by installing this 10.5 kiloWatt (kW) solar array. Consisting of thirty-five 300-Watt solar modules positioned on two separate roof areas, their total solar array rating is 10.5 kiloWatts (kW). 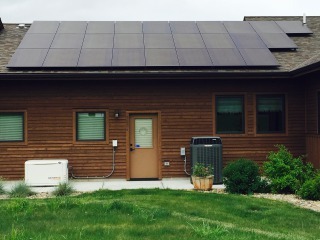 The system size was selected to offset 100% of their annual energy usage, and the module type, quantity, and layout was selected for optimal solar exposure and array aesthetics. 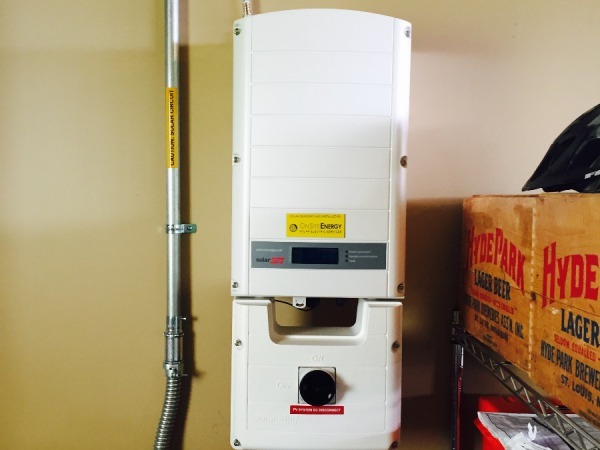 They installed a SolarEdge 10 kW inverter to convert the array's power from direct current (DC) power to usable alternating current (AC) power for the home. 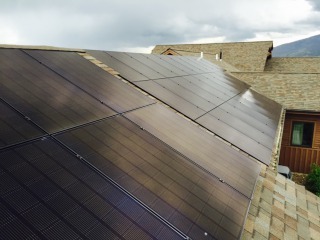 SolarEdge inverters are over 97% efficient, and they are unique in that they utilize DC power optimizers beneath each solar module to condition their power output independently. As a result, energy losses from shading, array mismatch, and varied angles of incidence from the sun are mitigated. The result is a super-efficient solar system that will produce absolutely the most energy possible given any environmental condition! Zeroing-out the homeowner's electrical bill was the goal of the project, but an acute attention to the array's aesthetics on the house is always important. With the system size requiring the utilization of two mismatched roof surfaces, as well as modules located in a roof-valley area, careful array layout consideration was required. This included assessment of module type, quantity, and the electrical distribution from the array to the inverter, which is located inside the garage. This system is projected to produce 14,583 kWh per year. Commissioned in late May, it has averaged just over 75 kWh per day on clear June days, and has produced over 850 kWh in it's first two weeks of operation! 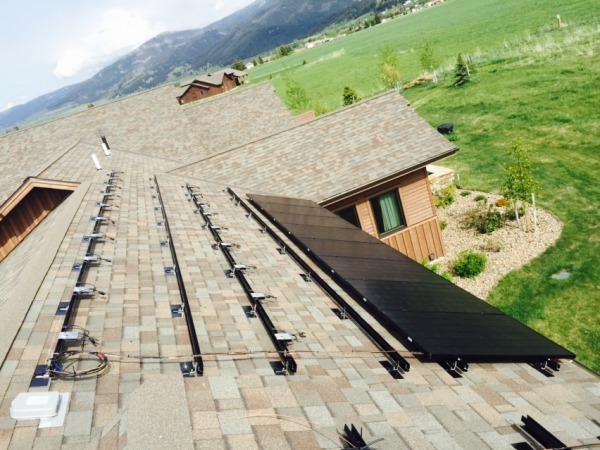 SnapNrack Racking, SolarEdge Optimizers. Flashed rafter attachment and junction box shown.